Hollywood had release a lot of science fiction films such as Extra Terrestrial, Star Wars, Guardians of the Galaxy and many more but the National Aeronautics and Space Administration surprise everyone when they announce that they are looking for a Planetary Protection Officer (PPO). Yes, you read it right. A US government agency posted on their website that they are seeking someone who wanted the job to protect us from species from other planets. According to their site, the unusual work is to prevent possible organic-constituents and avoid biological contamination in humans. The possible candidate must be a US citizen and has a degree in physical science, mathematics or engineering. Whoever will get this job will travel frequently and will get up to $187,000 (Php 9 million) salary. The ad was created last July 13 but it only got attention when it was posted on their official twitter account this week. 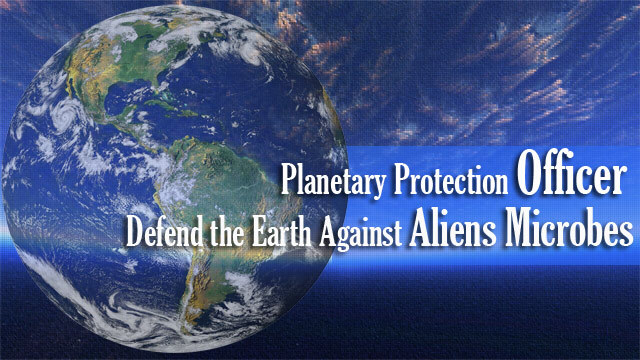 As of now, Catherine Conley is the planetary protection officer since 2014. When NASA announces that they are looking for the most important job in the world, netizens use their creativity for the uncommon job. Most of them use gifs and memes of Hollywood actor Will Smith who is known for his films like Men in Black and After Earth where he plays as the protector from intergalactic threats. Unlike his roles in his movies, what the agency is looking for is far from science fiction films. The main job is to eliminate alien organisms from entering our planet. Aside from the memes, there are also funny response from the netizens like Fan Disservice who said that the obvious candidate is Wonder Woman because she will do it out of principle. Fwee Wub on the other hand suggested NASA shall build an orbital defense system.